Dungeon Defenders 2 was on showcase at Sony’s Playstation Experience, and we got a chance to play through one of the game’s levels and talk a bit with the devs. Much like its predecessor, Dungeon Defenders 2 looks to not only improve on its own formula, but to move a whole genre forward. Coming to both Steam and PS4, one of the biggest struggles to overcome is integrating good controller support. Thankfully, the control scheme ported perfectly to the Playstation, and Dungeon Defenders 2 handles like a dream on PS4. It was very easy to adjust to the hotkey-combinations and within moments, I was throwing up towers and laying down fire. It’s important to mix towers and character powers together to overcome the tougher waves. The build I played featured several playable classes, including the monk, knight and mage. There’s plenty of equipment options, and in talking to producer Adam Stow, I learned there’s been a lot of changes to loot drops. Players will now be much more likely to receive loot they can use; for example, a mage won’t play through a level and get nothing but knight’s swords. Also added in the game are environmental hazards, which the player can activate in order to hold off or destroy enemies. In the map I played, there were two carts, one that sprayed out ice shards in an area and another that launched fire. Managing each one, and their respective cooldowns, was vital to ensuring no enemies could breach your defenses. The loot this time around is always useful, and there’s no more loot rush – each drop is just for you. One of the things that’s always been entertaining about the Dungeon Defenders series is the freeform approach to tower construction. Foregoing the grid layout used by many tower defenses, Defenders lets you put towers up anywhere and at any angle, and that philosophy continues into Dungeon Defenders 2. There were many hills and little areas that were clearly allocated for defense construction, but the opportunity to be inventive with tower layout was incredible. I was able to place towers in strange locations and at odd angles, and as long as it wasn’t too crazy (like building it in out-of-bounds or spawn points) I could place it. There’s plenty of inventory and customization options for players to trick out their heroes with. Speaking of spawn points, another issue that Stow told me the team specifically tried to address was spawn camping. Often times, it was fairly easy to put up towers at the enemy spawns and farm endlessly. Now, there is a forcefield in the immediate area of enemy spawns, so players can’t simply pile all their resources into the front of the track and ignore the back half. 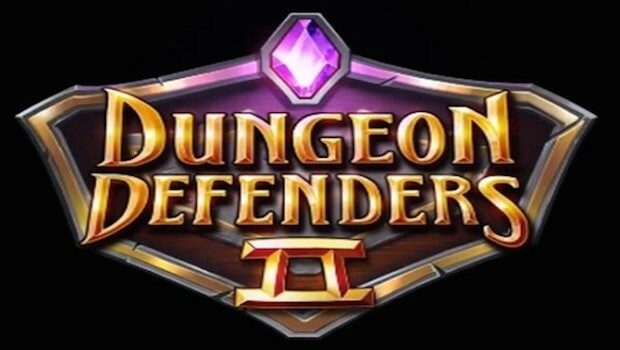 The game is still in Early Access on Steam, but Dungeon Defenders 2 looks to launch F2P on both PS4 and Steam in 2015. For more on the PlayStation Experience, keep an eye on our coverage hub.